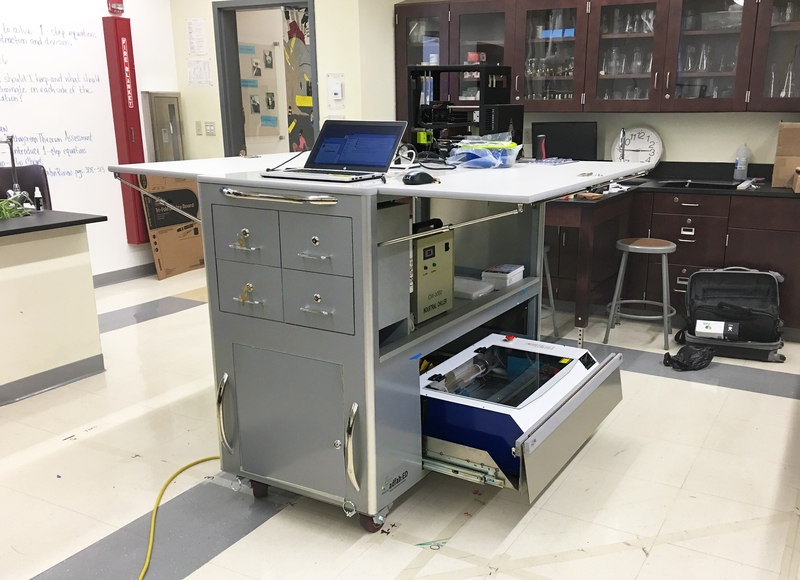 The MobilemakerEd Cart has been seeing results in the New York City Schools where many students in isolated neighborhoods have limited resources. 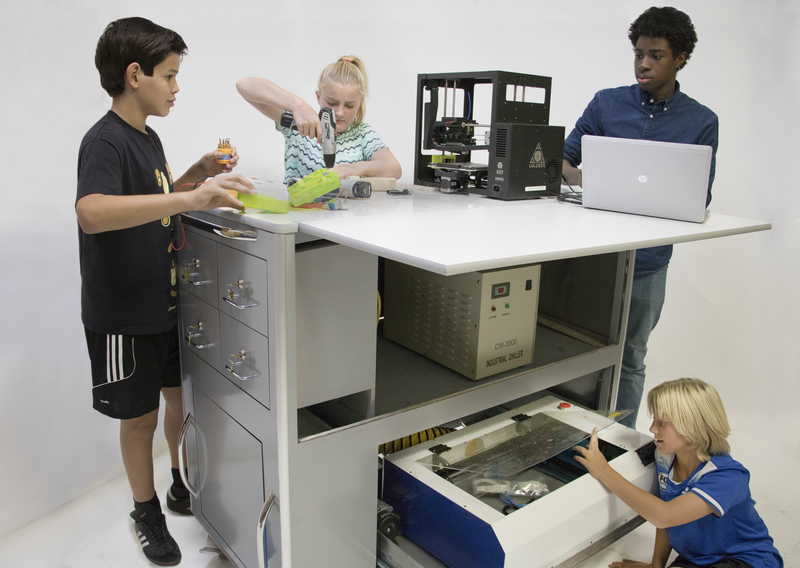 The Cart gives these students a chance to learn all aspects of digital fabrication and creates a foundation for the advanced manufacturing future they will inherit. Adfabed will continue its mission and expand its reaches in 2018 expanding into other parts of the country with Carts and supportive PD workshops on integrating the Maker curriculum. 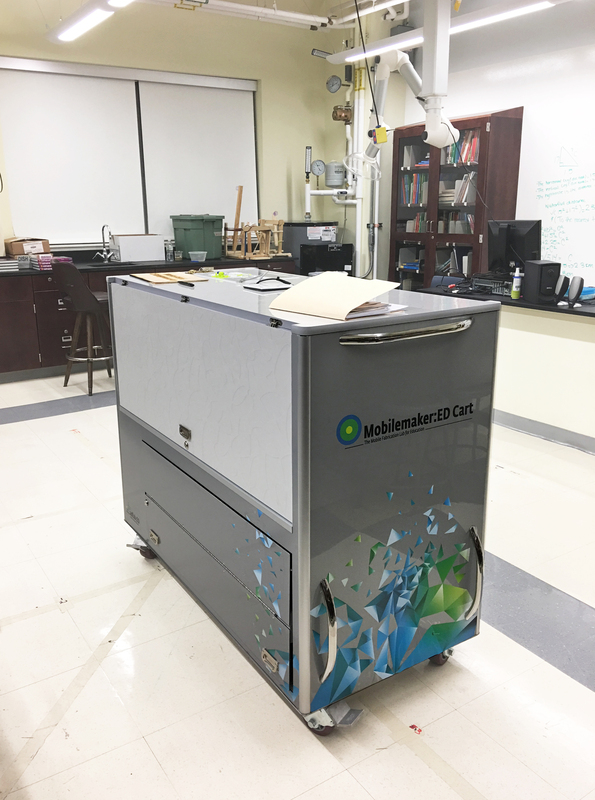 The first Mobilemaker:ED cart has been rolled out to a very special school in St. Louis. The school welcomed the ability to bring Maker Learning to their students in a small footprint, and the mobility of the cart is ideal for their situation, as the school is actually two schools in one building. 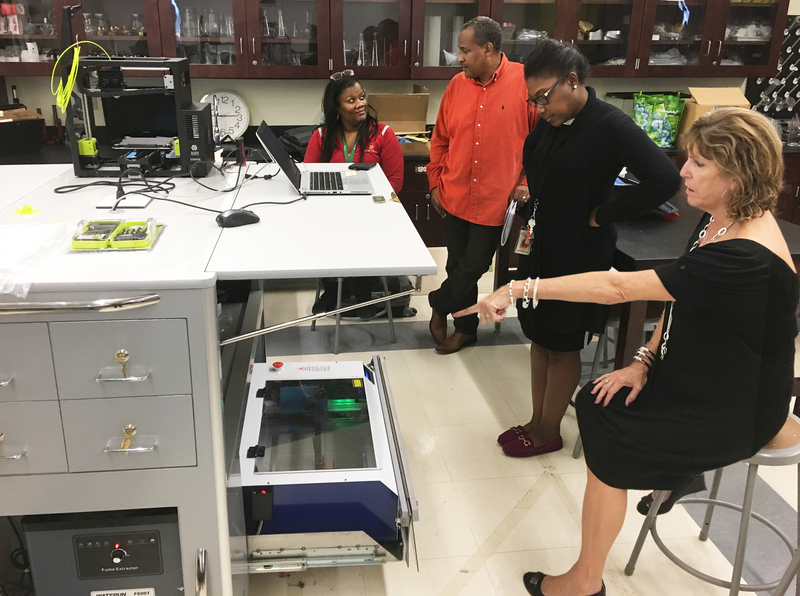 The administrators and teachers at Jennings Junior High Career Academy and College Prep were very enthusiastic about the possibilities this mobile lab brings to all their students who can equally share this great resource by transporting it easily to different parts of the school building. During the 3-Day professional development session given by the non-profit organization Alliance for Digital Fabrication Education, the educators talked about the school’s national attention over the successful turnaround in the 3 years since they were on the brink of losing state accreditation. This dire situation was solved by focusing on poverty above all else, and using the tools of the school district to alleviate the barriers to learning that poverty creates. With a strong emphasis on keeping students in a healthy capacity to learn, school superintendent Tiffany Anderson looked for innovative solutions, such as a school district run foster home, a school food pantry, laundry machines, an on campus medical clinic. Much of the same racial tensions and poverty problems that its direct neighbor Ferguson Missouri has faced since Michael Browns death, have circulated in the surrounding neighborhoods of Jennings. To challenge these issues head on, one of the first trainings for teachers Ms. Anderson worked on is dissimilating racism. Also important is equity training, here she placed many teachers in poverty for a week in a simulation environment, and all staff in the school district were provided training to deal with trauma and how to defuse tense situations. Current Superintendent Art McCoy, who was formerly with the Ferguson School district, continues the path of Ms. Anderson and says the goal of educational innovation like the the Mobilemaker:ED Cart is to directly connect with the students on problem solving in the word around them. Some of this might take the form of product development and entrepreneurship, or a unit in teaching empathy and compassion, where students solve problems for people in their community, by examining the life of elderly and disabled people. Much of this digital fabrication specific curriculum development will take place over the next year, and the educators will work with adfab:ED via weekly skype video chats. This is an ongoing effort of the organization, to create equity in education and it is important work because there are so many beautiful minds out there who need an opportunity to grow and learn in ways that do not come from books. 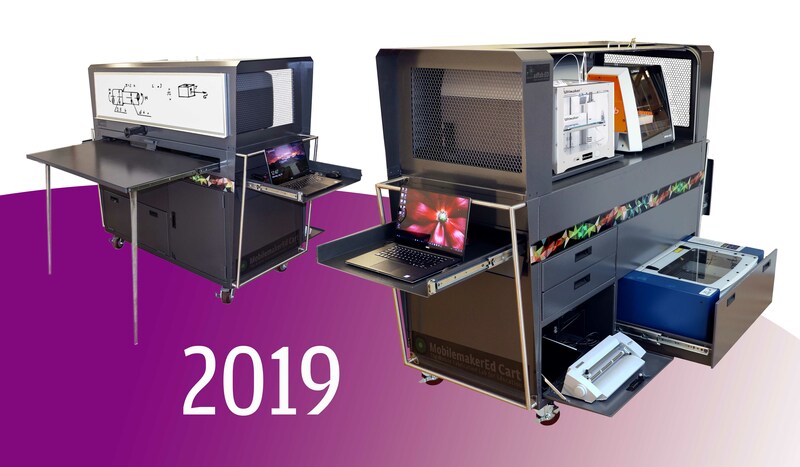 Over the next year, adfab:ED will continue to produce and sponsor the Mobilemaker:ED education program with a goal of 6 carts to be distributed by the end of 2017. Join Metal Motion Robotics to prepare for the future by understanding mechanical and electrical systems and advanced manufacturing and fabrication tools in the process of building robotics. Design engineering is applied in a collaborative team build and regional competition though FIRST. (For Inspiration and Recognition of Science and Technology) We are located in Williamsburg Brooklyn in an active fabrication shop, and encourage students to learn by making on their own, in a supportive environment with mentorship from professional fabricators and designers. We motivate students with exciting challenges which build technology skills, inspire innovation, and foster well-rounded life capabilities including self-confidence, communication, and leadership. Our robotics program benefits youth age 12-17 We openly promote equal access to innovative learning for all students regardless of gender, race or economic background. The Metal Motion Robotics program sponsored by Alliance for Digital Fabrication Education and Martel Design and Fabrication. As I observed the annual Maker Faire here in New York this past weekend, I recalled the first Maker Faire I attended in 2010, but then a more distant memory overtook me also. 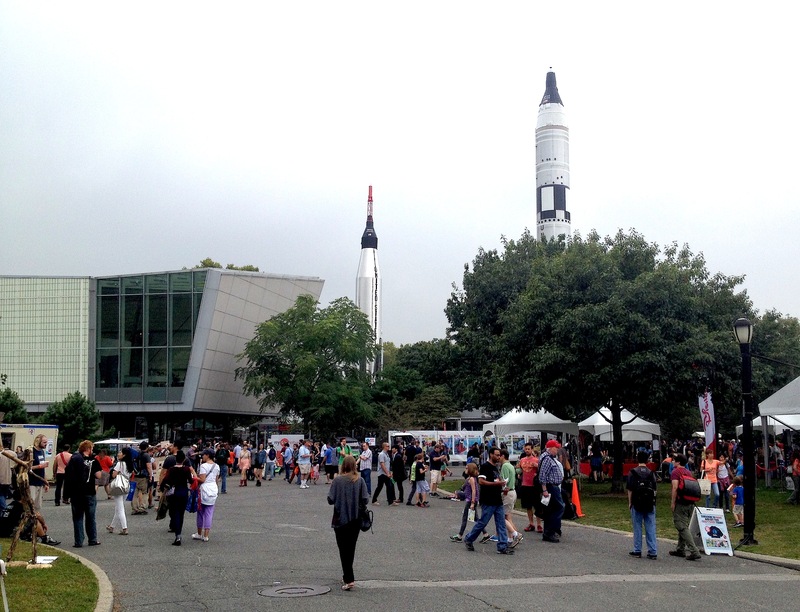 While looking up at the Atlas and Titian rockets outside the Hall of Science, I registered them as symbolic of a dramatic change happening in our country. This is in retrospect to what they represented 50 years ago during the 1964 World’s Fair. I should explain that the rockets are very personnel for me, as my father had helped design a launch system for the Saturn rocket series. Back then, he was part of a team of engineers working for a large engineering company under a government contract. In this position, he was working alongside other engineers; doing problem-solving for something that would lead to the human triumph in space. This was very empowering for them as career engineers and for us, as a country. 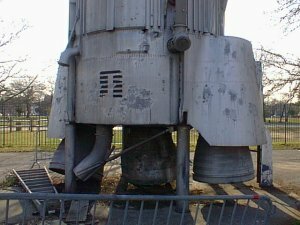 Interesting for me, is that I also recall seeing these very same rockets in 1995, when I visited the World’s Fair site. They were in very bad condition at that time; rusting, decaying and unsafe- they seemed to represent to me a darker side of American progress. I remember that I was drawn to try and capture this feeling in a photograph, because their condition seamed to be an accurate reflection on the larger “rustbelt” conditions present in our Country’s manufacturing base. So, as I lamented a bit on the grandeur of ‘64 World’s Fair, whose exhibits were big monuments to corporations and capitalism, I also felt these same “titans of industry” were the ones who were intoxicated by their own greed in the ‘70’s, and drove the American platform of design innovation off-the-cliff. We are in a special time now and individuals have the stage, along with a freedom to start-up a business which can be funded by what the people believe is good, or necessary for a society. Additionally, open-source technology creates a fertile environment for further innovation. There are some big differences represented between the first Faire I saw in 2010, and now. I clearly noticed an increase is the “business of making”, whether that be educational kits, CNC generated products, software platforms, or physical computing modules. This growth of the entrepreneur that serves the maker or is an independent engineer just doing their own direct manufacturing is a groundswell of the maker movement, and is a clear representation of what people describe as the democratization of manufacturing. I wish my father were still here to see this, as he had so many unfulfilled ideas as an engineer, which was constrained by the corporate structure of that period. I revile in this special moment in time now, with his creative heart in my mind, and I am hopeful. 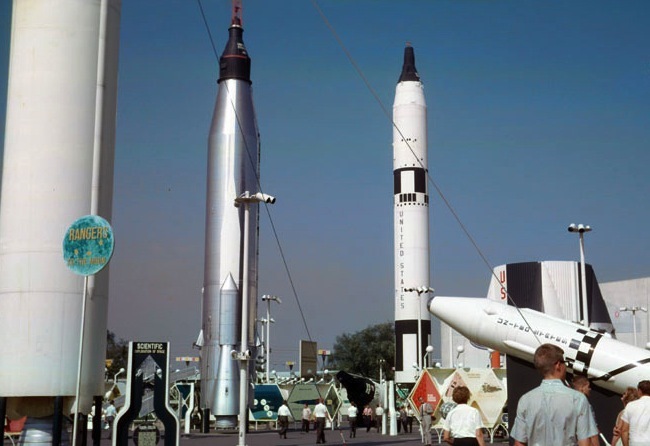 Seeing the rockets this week, which are now fully restored to their former glory, and in this new context, I think our country is on it’s feet again. But this time, we are doing it for ourselves- no glamorous architecture or giant pavilions needed, just great ideas and a tent. Does the world maker faire represent everyone? On the eve of the Wold Maker Faire I am very excited to see the representative inventors and companies hawking new technologies, but I’m also interested this year to see if the movement is broadening it’s reach beyond it’s core constituents. The momentum has been building and should be pulling in now, more women and people of color – if we want to see a full societal change for good. As I recall from the observations made by Tim Bajarin in his Time magazine piece of this year during the San Mateo Faire, “The Maker Faire is a great show and is highly inclusive, and the Maker Movement itself wants everyone one to participate. But the lack of folks from these two minority communities tells me that we in the industry and those in the Maker Movement need to figure ways to get these groups of folks interested in being makers, too. Without the participation of everyone, regardless of race, the Maker Movement may not reach its full potential, especially here in America.” So it is with that watchful thought I will attend, observe and marvel over new technology and innovation, and hopefully meet new members from the under recognized sector. Maker Party events feature people of all ages who are learning to code, making stop-motion animations, designing games, creating digital stories, fabricating wearable technologies, remixing websites, and so much more. John Jefferys from AdFABe, in conjunction with Nancy Otero of Active Emergence, participated in the Mozilla / Hive NYC’s Maker Party at the Bronx Library Center. 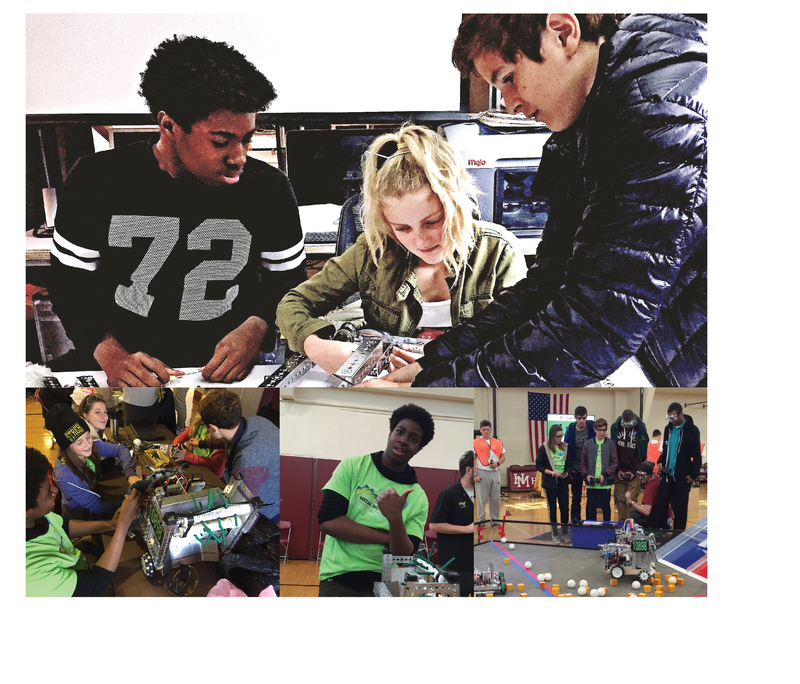 The Maker Party is a great example of how engaging connected learning can become when it is interest-driven and production-centered. 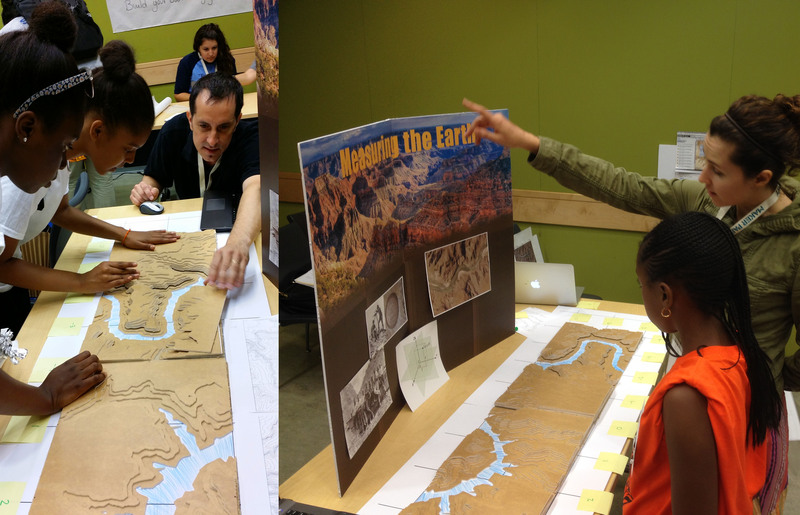 The mentors worked with a hands-on activity of building the Grand Canyon, from hundreds of laser-cut topographic layers which connected students with the concepts of spatial coordinate systems. The project encouraged further online research regarding mapping systems. More Maker Party events will run through September 15th, during which educators and makers will create opportunities to share hands-on making by hosting “learning parties” in schools, libraries, museums and community centers. 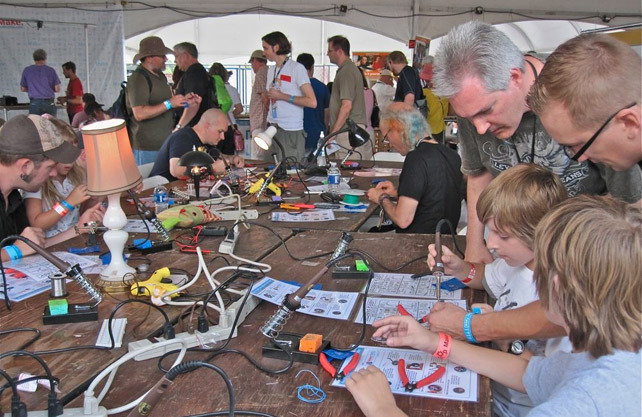 The White House Maker Faire last month was a very successful public relations event for the Maker movement. The value will be seen in the coming months and even years as the fuel this event has provided trickles into various programing. Some of the most important exposure has been for the education sector that is now now in the limelight to implement the promise of a brighter future this technology and project-based learning can provide. The highlights of the Faire for me are the long list of great programs that were given center stage. Such as, the Maker Vista Project which brings the Maker Ed Initiative to high poverty urban and rural areas, and the Career and Technical Education Makeover Challenge from the Department of Education, which states and local educational agencies can compete to receive upgrade of their CTE facilities. Also important are the shifts in the political sphere that will allow for change to happen for young people, one of the President’s initiatives to keep an eye on is the Mayor’s Maker Challenge which is collaborative effort to promote an environment for Maker activities and new manufacturing innovation.